A boutique residence with a Bayview address surrounded by all the conveniences you will ever need. 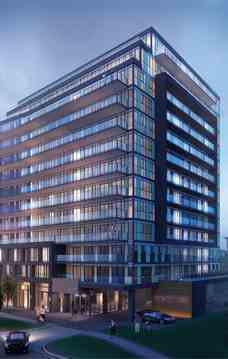 The Bennett on Bayview is a new condo development by First Avenue Properties and Latch Developments currently in preconstruction at 3237 Bayview Avenue, Toronto. The main floor of the Bennett will have retail shops facing the north towards The Bayview Mall plaza. There is also a small medical office on the opposite side of Bayview. The Bennett on Bayview is located on the south end of The Bayview Mall plaza in Toronto, Canada. The Don river lies nearby to the East, and there are trails running East and West in the neighbouring land just South of the property.